Families are invited to enjoy Melbourne Youth Orchestra's performance at Deakin Edge, Fed Square, on Sunday 19 June, 2016. 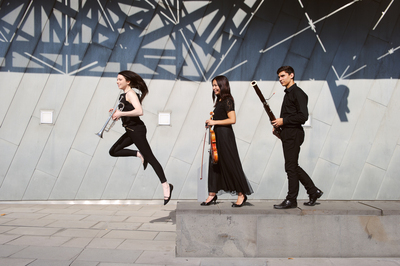 The 'Picture Perfect' concert stars Australia's brightest young classical musicians play alongside Francesco Celata, Acting Principal Clarinet of the Sydney Symphony Orchestra and MYO alumnus. Celata is an internationally renowned musician who has played with some of the world's great orchestras including the London Symphony Orchestra. The concert program features three much-loved classics: Sibelius’ Finlandia, Mozart’s Clarinet Concerto, and Mussorgsky’s Pictures at an Exhibition. Melbourne Youth Orchestra is recognised as Victoria’s finest youth orchestra, with members ranging from 14–25yo, and as a launching pad for many professional musical careers.